Electric vehicles are quickly becoming one of the largest flexible loads on the grid in some areas, and the growth parallels the increase in numbers of air conditioners years ago, says a new study from the Smart Electric Power Alliance. However, the popularity of electric vehicles poses problems for utilities, which are finding that time-of-use pricing for vehicle charging has inadvertently prompted surges in demand during certain times of day. Poor load management and rate schedules that are causing these types of problems might require expensive solutions. To solve the problem, charging needs to be managed, the study says. In fact, the ramp-up in demand from charging in some areas has been identified as the expensive culprit in transformer problems. “In a study commissioned by the Sacramento Municipal Utility District, an estimated 17 percent (12,000) of the utility’s transformers may need to be replaced due to EV-related overloads, at an average estimated cost of $7,400 per transformer,” says the study. The solution, for utilities, is ensuring that electric vehicle owners charge their cars during the entire off-peak time period, not just when off-peak starts. Another approach is to ensure vehicle owners charge their cars when renewable energy production is high, mid-day for solar and nighttime for wind, the report says. 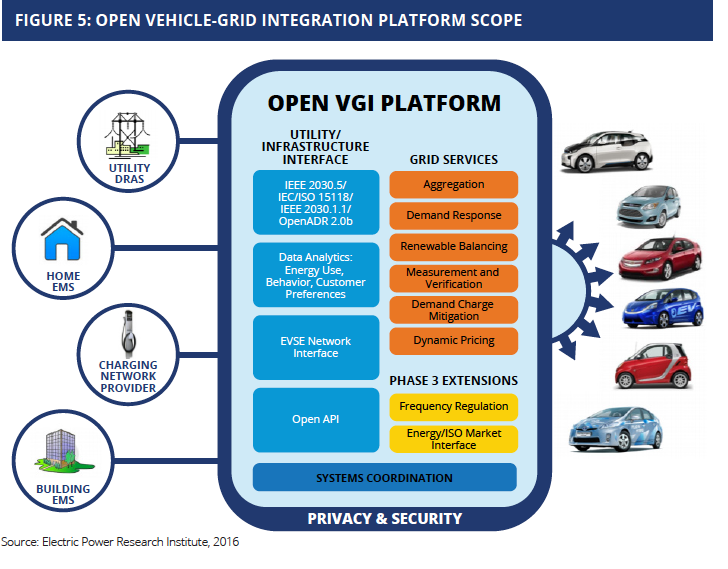 “Managed charging—also called V1G, intelligent, adaptive or smart charging—allows a utility or third party to remotely control vehicle charging by turning it up, down, or even off to better correspond to the needs of the grid, much like traditional demand response (DR) programs,” says the report. This is different than vehicle-to-grid dispatch, the study notes, during which a plugged-in EV provides power to the grid. Technical and regulatory issues need to be resolved before vehicle-to-grid dispatch can become commonplace. However, managed charging programs could help pave the way for vehicle-to-grid dispatch, says the report. “Given the projected growth in EVs, and the increasing need for flexible grid resources, more utilities are evaluating the opportunity for managed charging,” says SEPA in the report. A 2017 utility demand response survey by SEPA found that 69 percent of the utilities who responded are planning, researching or considering demand response programs that include managed charging. Twenty percent of respondents said they weren’t interested in this type of program. Some utilities have been experimenting with managed charging to learn about how drivers respond to the programs. They found that drivers want the option of opting out of demand response programs and that utility efforts to communicate with drivers can be expensive. San Diego Gas & Electric implemented a day-ahead electric vehicle pricing program that reflects circuit and systems conditions and real-time pricing of energy. “EV drivers can save money by setting vehicle charging times to low-priced hours of the day,” says the report. Southern California Edison’s pilot program was a workplace program that took advantage of afternoon peaks and load reduction strategies to learn about how drivers respond to pricing signals. “The program included a high price option allowing users to have no charging disruption; a medium price allowing for peak demand curtailment from a faster Level 2 to a slower Level 1 charging rate; and a low price allowing drivers to be entirely curtailed during a demand event. One of the findings of the study was that drivers need maximum optionality, meaning if they need to charge at certain times,they want the ability to opt out,” the report says. Pepco’s pilot program reduced charger output from Level 2 to Level 1 for an hour during a demand response event and provided opt-out options. “Pepco found that the ongoing costs of the communications link were too expensive. Identifying a cheaper solution would increase the viability of future projects,” said the report. “The Pepco pilot points to some of the technical bottlenecks for utilities looking at managed charging, including network communication and equipment interoperability,” says the report. Like other grid modernization technologies, such as smart thermostats, the key is to find an inexpensive, reliable way to send the communication signals. 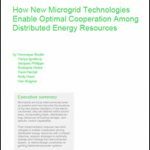 Electric vehicles are expected to be an important element of future microgrids. 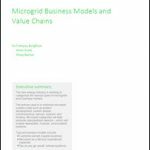 Read more on Microgrid Knowledge’s electric vehicle channel.